Karina's Kreations: Stampin'Up Scalloped Tag Topper Punch Card! Stampin'Up Scalloped Tag Topper Punch Card! What do you think of this stamp set of the month card? This month the stamp set is Starburst Sayings! I used Pool Party, Midnight Muse and Summer Starfruit card stock and ink on this card. I made a video for you and myself so I wouldn't forget how to make this fun card using the Scalloped Tag Topper Punch. My videos are saved under Free Stamping Resources tab on the left hand side. Check out this previous post. I made another cute Scalloped Tag Topper Punch card a while ago. 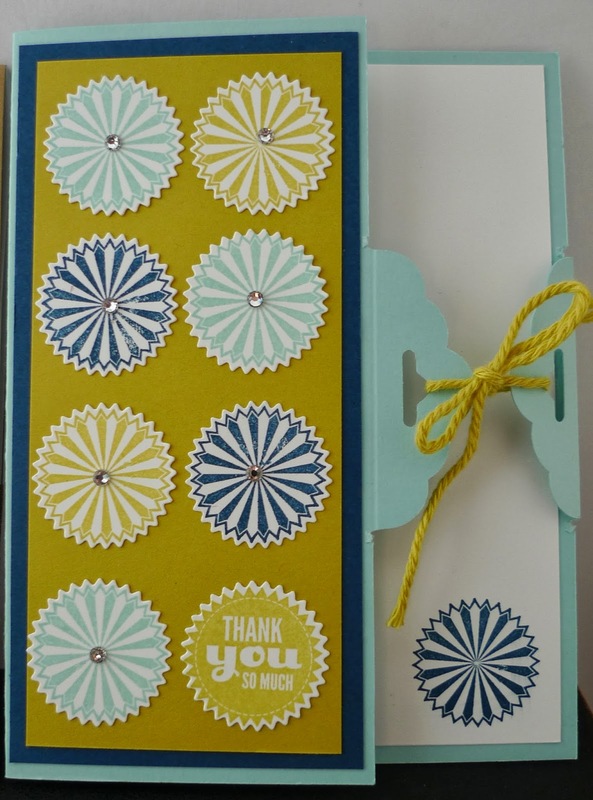 Here's the link to see the Scalloped Tag Topper Punch Post. I hope you'll try one of these cards. They're really fun to make!